Ultrasonography is an important part of an obstetrician-gynecologist’s work. Like most things in life, you do not come into residency innately knowing how to perform ultrasonography–the best teachers are excellent didactic resources and experience. A textbook or someone with more experience are not always available, but an app can be with you always. This is a review of 5 ultrasound applications that either focus on or include obstetric and/or gynecologic ultrasounds from my viewpoint as an Ob/Gyn resident. I have reviewed two other ultrasound apps previously, which are not included in this review. 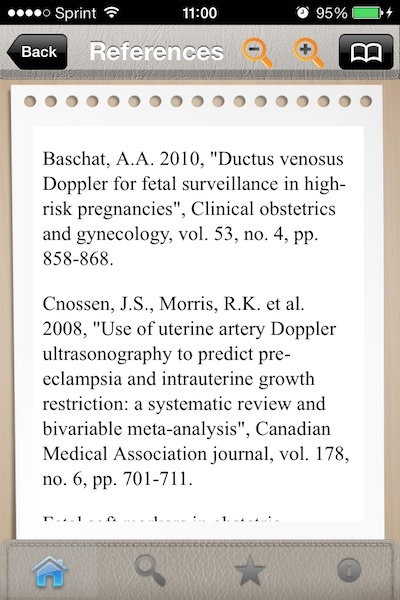 You can read their reviews here–Fetal Biometry and Fetal Ultrasound. The Obstetrics Ultrasound Scan Protocols app provides descriptive and image-based guidelines for first, second, and third trimester (obstetric) ultrasounds. For most, (but not all exams) a description/protocol is provided along with an image. 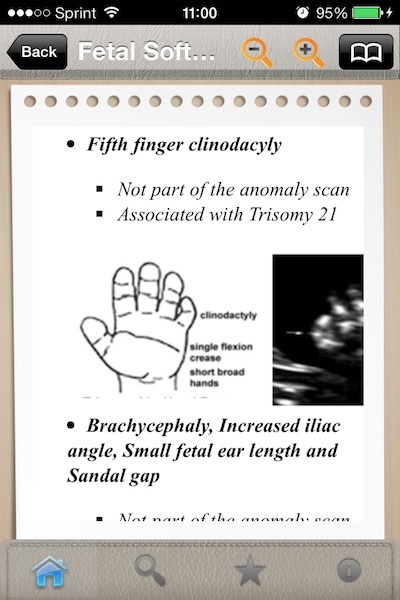 The exam images include normal exam parameters, as well as complications, abnormal findings, and higher-level exams. I would use this for a quick reference for exams I do not usually use or to teach my fellow residents and students.